Patrik Antonius is a Finnish poker player who has certainly lived an interesting life. Even before being a professional poker player, Patrik Antonius had a former career as a tennis player, coach and even a model. Antonius was born in Helsinki, Finland on December 13, 1980. Antonius first developed a name for himself by playing in the European Poker Tour, and he later competed in a World Poker Tour event, which helped to give him an even bigger name. In total, Patrik Antonius has had live winnings that exceed $3,375,000. Patrik has played on a variety of poker sites online, but the main one that Patrik Antonius plays on is Full Tilt Poker. 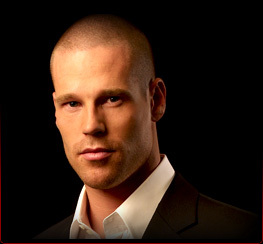 Patrik Antonius has been involved with many of the most prestigious online poker tournaments. For example, on September 2008, Patrik finished in 2nd on a Full Tilt Poker Tournament. Patrik has used many names on Full Tilt Poker, but after becoming a team member of Full Tilt, he began using his own name to play games. Before being a team member for Full Tilt Poker, one of the poker sites online that Patrik Antonius played for was Martinspoker.com. One of Patrik’s accomplishments is that he was featured on NBC’s Poker After Dark. During one of the games, Patrik lost a pot of over $600,000 to Tom Dwan. Patrik’s major loss on the show was also the biggest pot that had ever been featured on Poker After Dark. In November of 2009, Patrik won a pot of over $1,365,946 making it the greatest pot ever won during an online poker game. Patrik’s main specialty in poker is heads up games where he is battling one-on-one with other poker players. Patrik Antonius is a poker legend because of his dedication to excellence. What makes this particular poker player interesting, is that he has been involved in a variety of different fields. He is evidence that you do not have to specialize in only one thing for your entire life. Variety is the spice of life.